I’m thrilled to be able to help you complete your quilt top or to make a new quilt for you. I enjoy freehand quilting and desire to give you the finished look for your quilt that you desire. If you are in the area, we will meet together and go over options for finishing your quilt. If you are mailing in your quilt top, we’ll email or talk over the phone and fill out the form together. Besides custom freehand quilting, I also offer all-over designs and pantograph designs. Quilting fees are based on the size of your quilt and range from 0.02 per square inch to 0.04 per square inch. If you desire to have a quilt made for you or as a special gift, I would love to work with you! I’m open to as many ideas as you have or will take the reigns if you don’t want to have as much input into the design. I can work with a pattern you’ve seen and love or I can design one based on your ideas. I have made memory quilts and tshirt quilts for others as well as purchased-patterned designs. 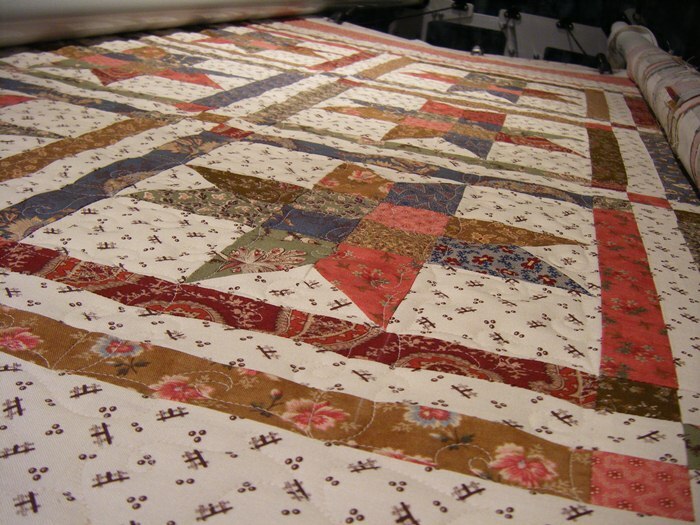 Piecing fees are based on the size of the quilt as well as the complexity of the pattern. Then the above quilting fees and any finishing fees are calculated. We’ll go over the quote and available options when we meet together. With either a start-to-finish quilt or the quilting of your quilt top, we’ll complete a service order form together. I’ve been sewing since 7th grade and quilting for over 28 years. I love the experience with the fabrics. 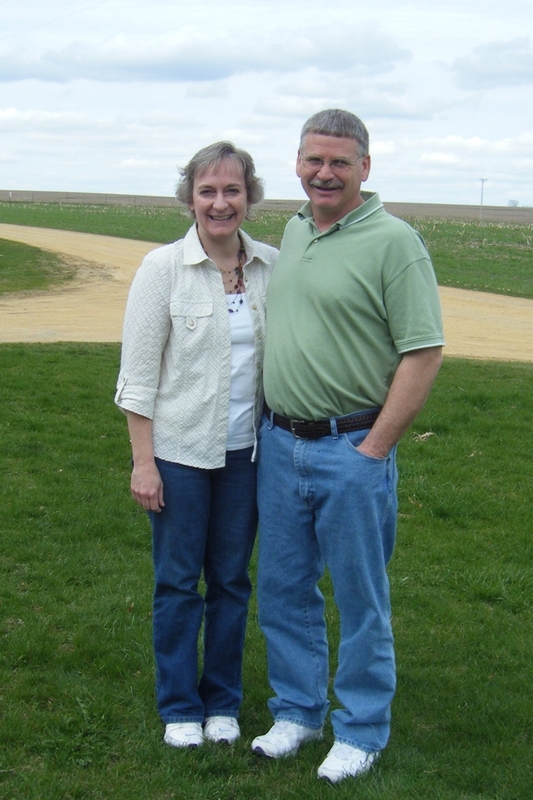 I’ve been married to my farmer husband for 31 years and we live on his family farm. We are the 4th generation on the 118 year old farm. Our children are young adults and are a delight to us! Our daughter lives in Chicago and loves the city! She has her BFA in Fashion Design. Her favorite work is millinery. Our son is an Electrical Engineer major with an emphasis in Computer Engineering. He is working on his co-op that is an internship alternating with semesters back at the university. My favorite sewing machine is my Bernina 200E that I’ve had since 2003. My long-arm machine is a Handi Quilter Fusion 24. My favorite foods are pizza and homemade cherry pie. I don’t eat carbs or sugars which limits those favorites! I like warm, sunny days. I love to savor a hot mug of sugar-free, caffeine-free hot cocoa. My favorite thing to do when out & about is to visit a quilt shop. I enjoy online sites for connecting with other quilters and homeschool moms. I delight in reconnecting with new & old friends on Facebook. The computer is my friend except when I need to do bookkeeping. Congratulations on your wonderful endeavor and great success to you!